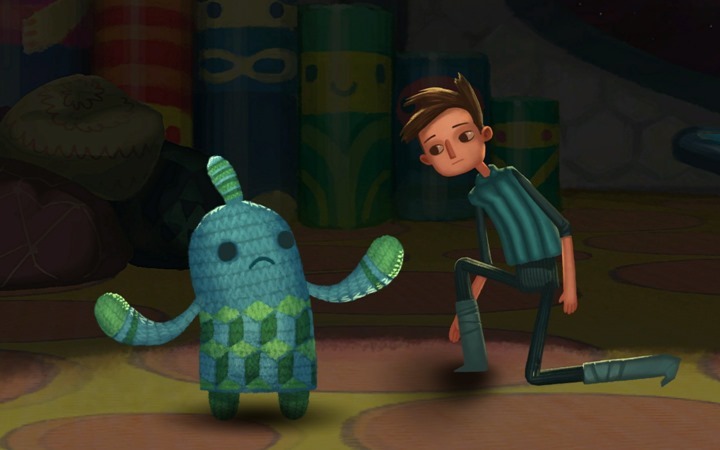 Broken Age, the incredible adventure game that spawned from an equally incredible $3.3 million Kickstarter, has had fans waiting for a conclusion for months. The very first act for this Tim Schafer-led point-and-click adventure launched last year, and its concluding piece has been missing for ages now. But no more, because Act 2 finally has a release date – as well as some new launch platforms. First things first though. Broken Age Act 2 isn’t too far from launch, arriving on all platforms come April 28th (or 29th for those of us locked to EU PSN). The good news is that there are more platforms joining the fray, with the PS4 and PS Vita receiving both Acts on the same day. The full package will go for $25, and include cross-buy functionality. That means you can take your adventure on the go if you happen to own both devices. As for the rest, Broken Age Act 2 will launch for all the platforms that Act 1 launched for. That includes PC, Mac, Linux, iOS, Android and even the Ouya (if anyone still owns one of those little cube consoles). I haven’t personally got around to playing the first Act of Broken Age, but everyone I’ve spoken to about it only have the utmost praise for the adventure title. It’s got a beautiful distinctive aesthetic and oozes with classic Tim Schafer charm, so I think any fan of point-and-click titles in general should probably give it a go. And if you’re willing to wait for Act 2 before starting, you won’t have to torture yourself after experiencing the cliffhanger ending to the first act. Unless you’re still angry at Tim and his sock puppets.